But then wait… Brolin didn’t seem so sure about Neveldine/Taylor and, before you could say “Mark of the Demon”, the “Crank” boys were out and “Horton Hears a Who” helmer Jimmy Hayward was in. That produced an audible, huh? From “Jonah Hex” fans, but Brolin seemed confident that something weird and wonderful could still come out of the whole mess, telling Collider that <?xml:namespace prefix = st1 ns = "urn:schemas-microsoft-com:office:smarttags" />Hayward was simply “brilliant”. 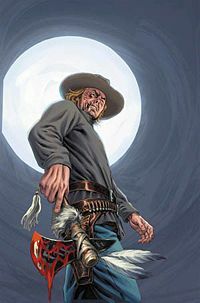 With Brolin’s choice for director firmly entrenched, the Neveldine/Taylor script still in play and new financing coming to Warners through Legendary Pictures, “Jonah Hex” was fast-tracked and an April start date was set. But who, pray tell, would Jonah be shooting at? A comic-book hero, even one who is kind of evil and totally deformed, needs a villain right? Today Variety is reporting that John Malvovich has signed on to be that villain – now didn’t I just say something about ‘weird and wonderful’? 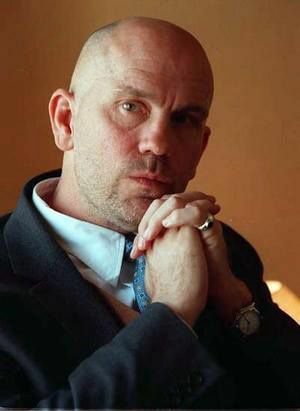 Malkovich is playing Quentin Turnbull, the most consistent of the comic’s Hex anti-heroes. Turnbull, heir to a Southern plantation, grew up with young Jonah in the days before the Civil War. Jonah joined the rebels and the animosity began when he was framed by a Union soldier for slaughtering his own men – among them Quentin Turnbull’s son. Naturally, Turnbull vows vengeance – long, complicated vengeance.